Mission Medics can offer medical, nursing and dental students electives in various parts of the developing world. Our trusted partners allow us the opportunity to provide supervised electives with qualified and experience personnel allowing those deployed to fulfil all of the obligations of their elective requirements. Other options are likely to come on-line soon. If you are interested in any of these please get in touch for more information. Jabe Clinic have agreed to consider any Mission Medics applications for medical electives and so a useful opportunity for those wishing to develop their skills, in particular with tropical medicine. The medical centres there are run by African Revival Ministries. Mission International partners Rema Ministries operate a small rural clinic where Mission Medics teams regularly serve. As part of any Burundi elective there is potential for time spent here working mainly amongst refugee returnees. 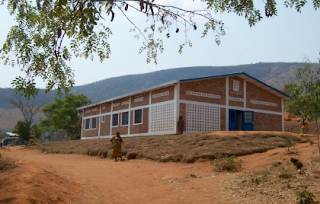 Mission International is in the process of raising funding to construct and deploy a clinic in Mutimbuzi, Gatumba in the grounds of the Hope Centre there. We hope to have this option on line very soon. Although Rwanda is seeing a huge improvement in medical care, there are areas of the more remote parts of the country where the cover is basic at best. Mission International hopes to develop a strong Mission Medics link here and now that the Cyangugu Clinic is up and running this should take place very soon. Our Partners in Rwanda are EAR (Anglican church) whose support in this venture is crucial. The Wentz Medical Centre is a project of ARMs in Uganda. Mission International teams have been deployed with ARMs for some years now and we have found this partnership to be a very effective one. Already Mission Medics medical elective students have served in Narok Hospital supported by our partners PFJIM. We are keen to continue developing this strong and effective link. This is a new venue for Mission Medics to deploy medical electives students, however our partners in Ghana (JoyCom) are committed to helping us set this link up and develop it over the next few years. The construction of this small clinic in Zuarungu is now completed, (photo will be updated) thanks to the efforts of a recent Mission Team during 2012. This opens the way for an additional element to be added to the service of any medical electives in Ghana. A new option for medical electives, our partners (Trinity Church) are keen to receive requests for Mission Medics and medical elective personnel. Although this is a new option we are confident that our partners will effectively prepare for and deliver this choice.